Let's get real: Life is not a Norman Rockwell painting. When it comes to spending a lot of time with family during the holidays, the most wonderful time of the year can quickly turn into the most stressful time of the year. Even the people we love the most have a unique way of pushing our buttons when we spend too much time together. Add that to the stress of juggling holiday parties, meal planning and gift shopping from Thanksgiving to New Year's and ... well, let's just say it's easy to go from holly jolly to downright brawly in the blink of Santa's eye. Fortunately, Astrology can help you watch for the things that trigger your horoscope sign's stress levels most, and offer tips on how to cope with stressful family situations all season long. Even dynamic Rams can run out of energy during the holidays, and it stresses you out when you don't have enough steam to get everything done. If a family member asks for one more thing on top of this, watch out for your fiery temper! Prevent a meltdown by setting aside at least one hour of alone time per day. Delegate some of your tasks to others and go for a walk or take a nap. You don't have to do everything yourself – that's what family is for! Taurus, you're the peacemaker, and your family relies on you to solve disputes over the dinner table during the holidays. And you know what? That stresses you out! You don't like to witness conflict or hurt feelings, and it's even worse if you can't help settle everyone down because then you feel like you've failed. If you find yourself stressed by family drama this year, use your stubborn nature to cope. Insist everyone calm down and speak respectfully, and don't walk away until peace prevails. You don't suffer fools gladly, Gemini. Your short temper can be triggered when a family member says something you disagree with, or if they move too slowly -- like when Granny drives you to the mall in her 1987 Cutlass Ciera. You need to practice patience, dear Gemini. Take part in daily activities to calm your overactive mind, like yoga or an art class to, so you won't blow a gasket at Thanksgiving dinner. Sensitive Cancer Crabs are especially prone to holiday family stress. You are very negatively affected by criticism, angry outbursts or being ignored. And it's easy for certain family members to hurt your feelings unintentionally -- like if one of your siblings seems to be getting preferential treatment, or if someone accidentally insults you with a nose trimmer as a holiday gift. To keep Crab from getting crabby, it's important you speak up and let the offending family member know how you feel. Don't keep your hurt feelings to yourself, or you'll wind up nursing a stress-related ulcer. Take a deep breath and let your feelings be known, and more than likely you'll find peace in an apology. Leo, you need to let go. Your stress triggers are primarily situations you can't control, and that is an inevitable part of the holidays. One of your family members might break the gravy dish, you may lose your car in the mall parking garage on Black Friday, or Uncle Jerry might infer that your career choice falls short of family expectations. Whatever it is that takes place to trigger your insecurities and prompt you to throw a childish temper tantrum… Let. It. Go. You'll be much happier that way. You think too much, Virgo -- which accounts for your greatest holiday stress. Just the thought of getting all your holiday chores done and attending to every family member's needs is enough to tie you in knots. But the thing is, once you actually start working on the things you need to get done, you're fine. Make lots of lists to help keep you on track – write down what you can do to help others, too. You'll feel calmer just putting it all on paper. Pretend you're making a list for Santa, it'll be fun! Not being treated fairly is hugely stressful for you, Libra. And you also can't deal with a lot of clutter. 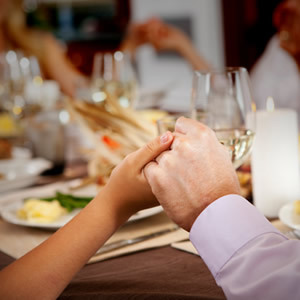 But during large family holiday gatherings, it's easy for these needs to be neglected. If someone takes the last slice of pumpkin pie before you've had any, and then has the nerve to leave the dirty dish on the counter, look out! That will set you off, and you could waste hours weighing the pros and cons of confronting them about it. Rather than seething in silence or overreacting defensively, respond calmly in the moment. Keep it short and sweet – no long-winded speeches or accusations. You'll get better results once people know where you stand. Your family doesn't realize how sensitive you are, Scorpio, because you hide it well. You have a quiet strength, so you're easily stressed out by big noisy family gatherings. You also feel tense and nervous when you don't get enough privacy, so be sure to let your family members know your needs and boundaries so you can negotiate what works for all. It may be as simple as going into a private room alone for an hour to regroup, or leaving a lit bit sooner than the rest of the clan. If you explain, they will understand. You're all about movement, Sagittarius, so the idea of sitting in a relative's living room for five hours straight is your personal hell. You're also not big on formal family dinners where you must act properly and "behave." Any situation that reins you in can trigger stress, like someone pressuring you to buy too many gifts or show up on time for dinner. Find ways to spend some time outdoors to feed your restless spirit. Help decorate the family home with outdoor lights or shovel snow from the sidewalks up and down the street so you won't feel so constrained. You demand a lot from yourself, Capricorn. And, you feel pressured when you fail to live up to your high expectations during the holidays. You worry worry worry about serving the right holiday dishes, buying the right gifts or telling the right jokes at the holiday dinner table. You can end up going over the "what ifs" or "if onlys" 'til you're all lathered up. The remedy is to live in the moment, the only place where joy can be found. And, be sure there's plenty of time to relax in your hectic holiday schedule. Though "live and let live" is your motto, Aquarius, you really like to have your way. But when you're surrounded by family members during the holidays, you need to learn the art of compromise. You don't need to bend your will entirely to that of every family member, but do make more of an effort to accommodate their needs, too. You're a little high-strung even when it's not the holiday season, so trying to do so much traveling, partying, shopping and planning in so little time can stress you out right quick. Just slow down a little. Ironically, by slowing down you'll actually get more done and feel more relaxed. You're a very private person, Pisces, so nosy family members or being put on the spot at a family gathering in which you feel exposed can be stressful. And you're sensitive nature is also unnerved by loud family revelry, teasing and obnoxious behavior. You might become overly anxious in these family holiday situations because you don't know how to shield yourself from such invasions. It's difficult, but if you can give yourself a temporary attitude adjustment you'll fare much better. Keep thinking "This too shall pass," and take little escapes for an hour here and there so you get plenty of time alone to process your emotions and clear your slate. Don't You Dare Dish That Up!